Since 1995, the four Chao siblings and their spouses – along with their father and adult children – have donated almost $30 million to UCI, quietly transforming cancer research and care in the region. 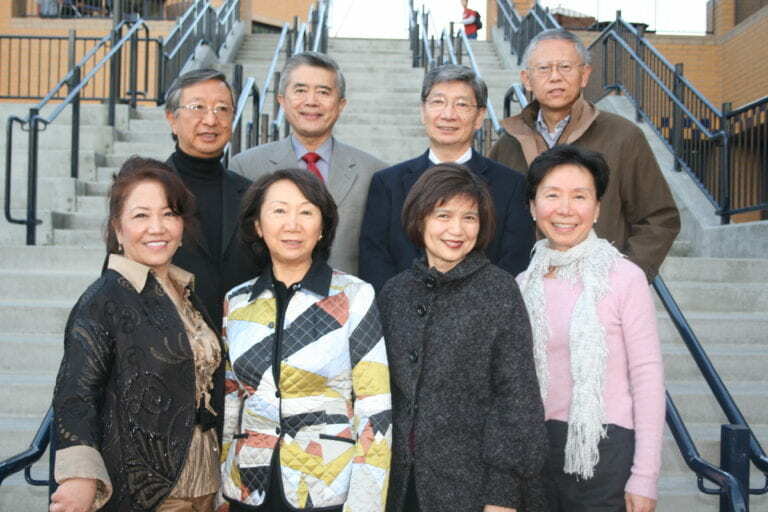 Shown are (front row, from left) June Chao, Agnes Kung, Lee Chao and Phylis Hsia and (back, from left) Richard Chao, J.K. Kung, Allen Chao and David Hsia. Their name may be on a UCI building, but members of the Chao family prefer working behind the scenes to improve the health of the community. Since their first gift to the university in 1995, three generations of Chaos have given nearly $30 million to the campus, quietly reshaping cancer research and care in Orange County and beyond. Recently, the second-eldest of the four Chao siblings, Allen Chao, agreed to discuss the story behind the family’s philanthropy, but only because doing so might raise awareness of UC Irvine Health’s Chao Family Comprehensive Cancer Center as a community resource. The tale he tells includes a brush with death, a tranquilizer that treats schizophrenia and a dash of motherly wisdom. It begins in the late 1960s, when the siblings – Allen, Agnes, Phylis and Richard – trickled out of Taiwan to attend colleges in the U.S.
Allen Chao started his U.S. career at G.D. Searle, when it was still a family-owned and ‑operated pharmaceutical business. Eventually, he determined that he’d rather have his own family’s name on his business card. In 1984, he co-founded a generic drug manufacturing company with brother-in-law David Hsia, Phylis’ husband and a fellow Purdue University alumnus. After being rebuffed by banks and venture capital outfits, they turned to relatives and friends in California for startup funding and launched Watson Pharmaceuticals – the maiden name of Chao’s late mother, Hwa, combined with “son” – headquartered in Corona. Not surprisingly, the family’s health industry background influenced its charity choices. Patriarch H.H. Chao, who died in 1999, owned a generic drug firm in Taiwan before moving to California in the early 1970s. And three of his grandchildren – the sons of Agnes, Allen and Richard Chao – have medical degrees. “As healthcare professionals aware of the pain and suffering caused by cancer, the idea was that we should do something to help,” says Allen Chao of the siblings’ original decision to donate to UCI’s cancer center. It also reflected his mother’s longtime admonition to give back to the community. “Remember where you came from and who made you successful,” he recalls her saying. Initially, the family had no personal ties to the university or the disease. But that soon changed. 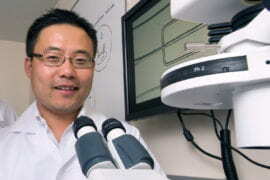 In 1999, Allen Chao developed stomach cancer. He sought the care of UCI gastroenterologist Dr. Kenneth Chang, who was able to remove all signs of it. Chao and his brother and sisters made a new gift that would continue the study of the relationship between genes and tumors and introduce research and education programs aimed at Asian Americans, who have the highest rates of liver and stomach cancer in the nation. The gifts have been a boon to cancer treatment and research, says Dr. Richard Van Etten, director of the Chao Family Comprehensive Cancer Center, Orange County’s only National Cancer Institute-designated facility. UC Irvine Medical Center is home to the sole hospital in the county where patients can find experts in every type of cancer and take part in early-phase clinical trials of experimental drugs, he says. It also runs a transgenic mouse program that creates genetically engineered rodents for tumor research at UCI, UCLA and 30 other institutions. In the late ’80s, around the time UCI began to formalize its cancer center structure and pursue NCI designation, several other local hospitals offered equivalent cancer services, according to Chang, who leads the university’s H.H. Chao Comprehensive Digestive Disease Center. But – thanks in no small part to the Chaos – “nothing in Orange County now comes close to providing the level of care that cancer patients receive at UCI,” he says. The cancer center often offers techniques and treatments – from endoscopic ultrasound for early diagnosis to promising brain tumor therapies – before they’re available elsewhere. One of the Chao family’s chief missions is improving access to affordable, high-quality healthcare. It inspired their generic drug business and also animates their new generic biologics firm, Tanvex BioPharma, which seeks to affordably mimic costly large-molecule pharmaceuticals that combat arthritis, allergies, cancer and psoriasis. Aiding the community also informs the family’s UCI philanthropy, Chao says. For example, cancer patients often spend hours receiving infusions and other treatments, so it’s important that Orange County residents have care facilities nearby so they don’t have to drive to Los Angeles, he explains. Chao gifts further enhanced patient comfort by supporting a remodel that made the cancer center’s ambience more like a hotel than a hospital, according to UCI officials. Most recently, the family financed two endowed chairs at UCI, which improves the cancer center’s ability to win grants and recruit nationally known researchers, Van Etten says. 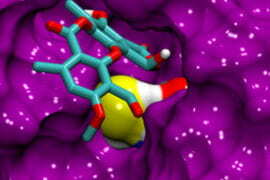 It will also support investigations into blood cancers and hereditary tumor links.